Adam started his career in the temporary placement industry with Aactive Personnel in 2008 as a dispatcher. Using his previous sales and customer service experience Adam started consulting with clients regarding their labour needs. 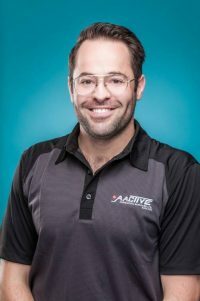 He currently assists with Aactive’s Business Development strategies and Sales department. Adam appreciates the social impact that Aactive Personnel has on the local community while simultaneously providing labour solutions that make it economically viable to conduct business in Manitoba.